Have you ever asked yourself why some people grow so tall and skinny, and others remain short and chubby? Why is it that no matter what some people eat, they will never look as good as the person next to them, who has the exact same diet? These questions have been asked time and time again, and the only viable answer is this: genetics. I have recently read an article in TheTech online magazine, which I found interesting. It is a very long explanation given to a middle school student who couldn’t understand why he is so different from his parents. And that made me wonder, why are certain people so tall, even though their parents aren’t? We’ve heard a lot of stories about individuals with a height that exceeds normal limits, but only in the last few centuries and we were able to explain this phenomenon. Pituitary gigantism, Marfan syndrome, Sotos syndrome, infantile gigantism or acromegaly are just some of the diseases that can cause abnormal growth. Pituitary gigantism is by far the most common condition that causes an increase in height that is completely out of the box. Almost all people who have exceeded height records were diagnosed with this disease. 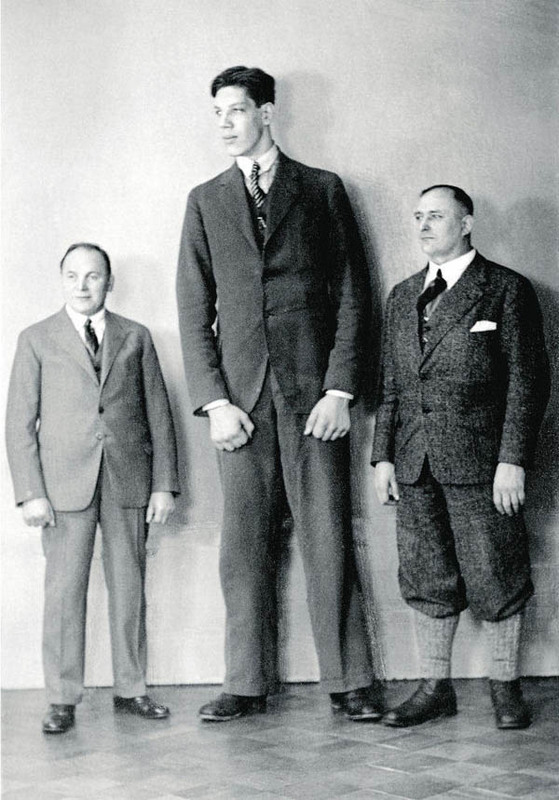 So now that we have depleted the subject of Natural Remedies for Anxiety, we have decided to tackle a more interesting one, the top 10Tallest Men who Ever Lived, and their stories. 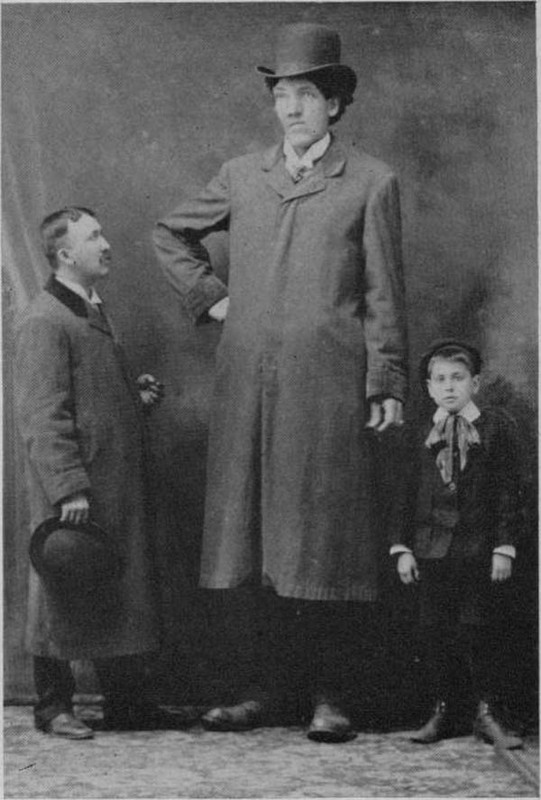 Here are the life stories of the ten tallest people in history. Brahim Takioullah is the tallest man alive. He also holds the record for the biggest foot of a human alive. Takioullah was born in 1982 in Morocco, and his unusual dimensions are the result of a tumor that affects his pituitary gland. The tumor has increased the growth hormone levels in the body of Brahim Takioullah and the effects can be seen with the naked eye. He was diagnosed with the disease when he was 18, after the school doctor, worried about his size, suggested to further investigate the matter. As you can imagine, his height creates a lot of problems in his everyday life: he cannot stand straight in the small flat he shares with his mother and is unable to fit into a car. Furthermore, Brahim needs to wear special shoes designed by the doctor, so that they may support his weight. At the moment he holds a surprising amount of Guinness records: one for the largest feet on a living person (his foot measures 38.1 centimeters), and the second tallest living person in the world. Don Hoehler was born on 1 September 1925 in Denton, Montana, USA. His parents, which had above average weight (5 feet 10 inches, respectively 6 feet and 2 inches), also gave him a fraternal twin sister, who only reached the height of 5 feet and 9 inches. Don Koehler came to measure 2.49 m in height, after having “regulation” size until the age of ten. After then he gradually began to exceed the normal limits. 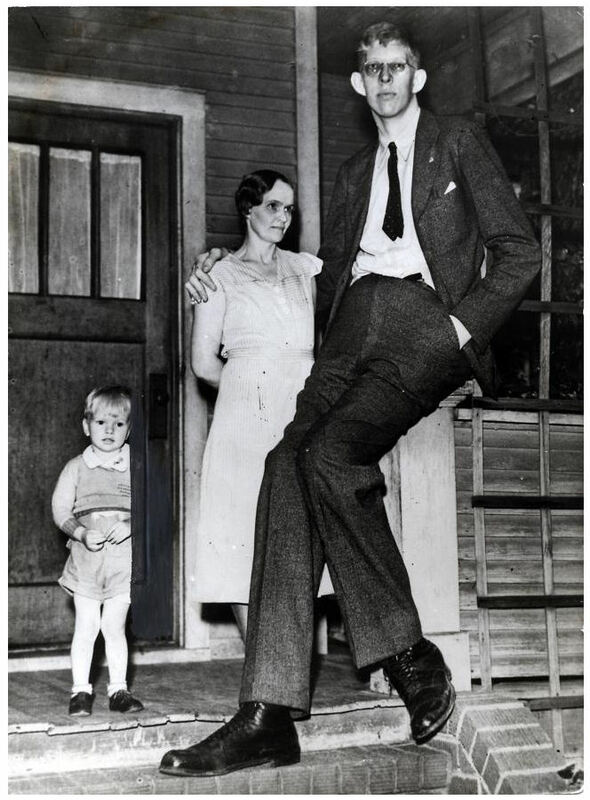 He was the tallest man in the world between 1969 and 1981, the year he died. Koehler was forced to join two double beds when staying at the hotel and had difficulty finding a home with a high enough ceiling. During his lifetime he had problems with a medical condition known as kyphosis, which resulted in an unnatural curvature of the spine. He died in Chicago when he was 55 years old, due to heart disease (one of the most common causes of death among tall people, who have abnormally large hearts). Not much is known about the short life of the giant Indian Vikas Uppa . 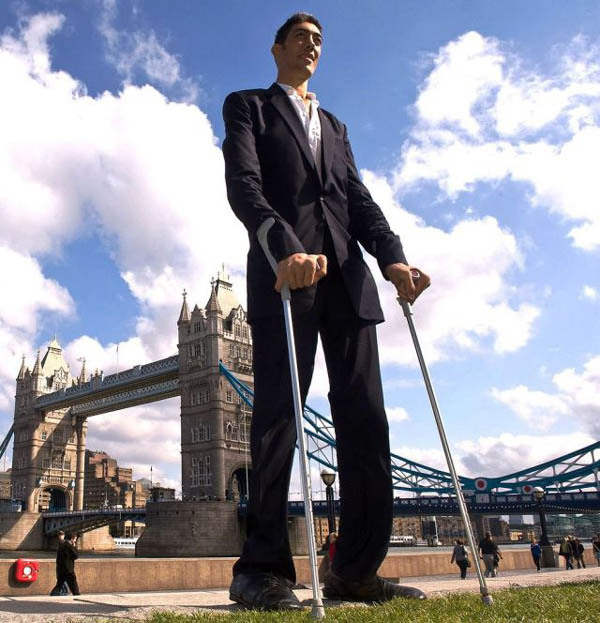 He was born in 1986 in Haryana and was dubbed the tallest man in the world, but was never measured by a Guinness World Records representative. According to the newspaper “The Tribune” , Uppal was already 2.51 in adolescence. Tragically , the Indian died in 2007, on the operating table while doctors struggled to remove a tumor on his brain. One thing is for certain: he was the tallest man that ever lived in India, even though this statement was never made official. 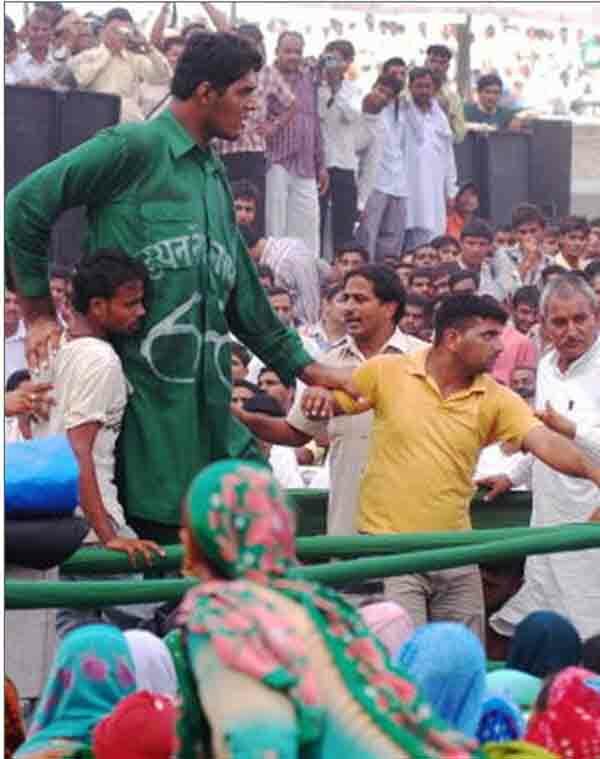 On 25 September 2006, at a rally held by the Indian National Lok Dal, he was photographed for the first time. According to this photography, he is obviously proportionate not obviously like a pathological acromegalic. Bernard A. Coyne was born in Iowa on July 27, 1897. He suffered from , an extremely rare disease. The exact height he had at the date of his death was never been confirmed. It is said that he was already 2.49 m in 1918 when he was 21. But Coyne is not the only one documented with this height. Born on June 25, 1964, Chinese Zeng Jinlian holds the record for the tallest woman in the world. At the age of 4 years she was 1.56 meters, and at 13 years old, 2.17 meters tall. She died in 1982 at age 17, being at that time the tallest person in the world. Born on September 1, 1925, Donald A. Koehler was up to the age ten a normal child in terms of height. Then his gigantism began to unfold. He had a twin sister whose height was 1.75 meters, which led to a new record: the biggest difference in height between two twins (74 cm). Bernard Coyne died of hardening of the liver and of a glandular disorder in 1921. He is buried in Anthon, Iowa, in a specially-made, extra-large coffin. At 2.51 m, Sultan Kosen is one of the tallest men alive. The condition due to which he increased so much in height prevented him to complete his studies. Also he is forced to move only with the help of crutches. His enormous growth was caused by a tumor in the pituitary gland. An attempt to remove the tumor in 2008 was initially thought to be successful, but in the end it turned out not to stop the abnormal growth. In 2010, because the tumor was buried deep in his brain, the doctors tried a special technique in order to stop growth. A year ago it was confirmed that the intervention had the desired effect. Sultan is pretty famous worldwide, being invited in many countries (England, Germany, Austria, the U.S., Iceland, Spain, The Netherlands (twice), Belgium, Norway, Romania, Cuba, Hong Kong, Thailand and Brazil) to show himself in televised shows. Born in 1881 in Canada, Edouard Beaupre came to measure 2.51 m height. As a child he dreamed about becoming a cowboy, but when he reached 17 years old, he discovered that he could pick up a horse in his arms. This is when his plans changed. The 21-year old Edouard joined the Barnum and Bailey Circus. He would enter the arena and lift the biggest horses or often struggle with one of the most powerful people on earth, like Lousi Cyr. Towards the end of his life he suffered from tuberculosis. On July 3, 1904, feeling exhausted, Eduard drank a cup of tea and started to cough and spit blood. Although he was rushed to hospital, he died that night. If you think about their stories for a while, you come to understand how sudden and unexpected their deaths were, and it somehow seems normal, because their size is simply to large for normal genetic patterns. As a matter of fact, their height was usually dictated by some sort of rare disease to begin with. Vaino Myllyrinne, born in Helsinki in 1909, was already 2.51 m at only 21. As you can probably already guess, he was an acromegalic giant. During his first years of life, he stood 222cm tall and weighed 197 kilograms, but at the age of 21 he experienced a second phase of growth, and he soon reached 251 cm. He fought in the Finnish Defense Forces and is considered the tallest soldier in history. He died in 1963 at the age of 54. Väinö Myllyrinne would actually be the “biggest Finn” because of his height (in Finnish, the word suuri means both “big” and “great”). In 1962, just a year before his death, he was measured by doctors at 8 ft 1 inches (2.47 m). He had a 15.7 inch hand span, the greatest known. John F. Carroll, nicknamed “Buffalo Giant”, was born in 1932 in Buffalo. He was also one of the 17 known people to reach a height of 8 feet or more. His abnormal growth began at age of 16 and did not stop until his death in 1969. Like others before him, he suffered from severe spinal curvature (Kyphoscoliosis) and acromegalic gigantism. At the time of his death, he measured 234 centimeters, a little under 8 feet, but if his spine wouldn’t have been deformed he would have measured 264 cm. His extraordinary growth started at the age of sixteen and continued until his death, despite extensive treatments at Mercy Hospital. At one point he grew seven inches in height in a matter of a few months. He was buried in Holy Cross Cemetery in Lackawana, New York. 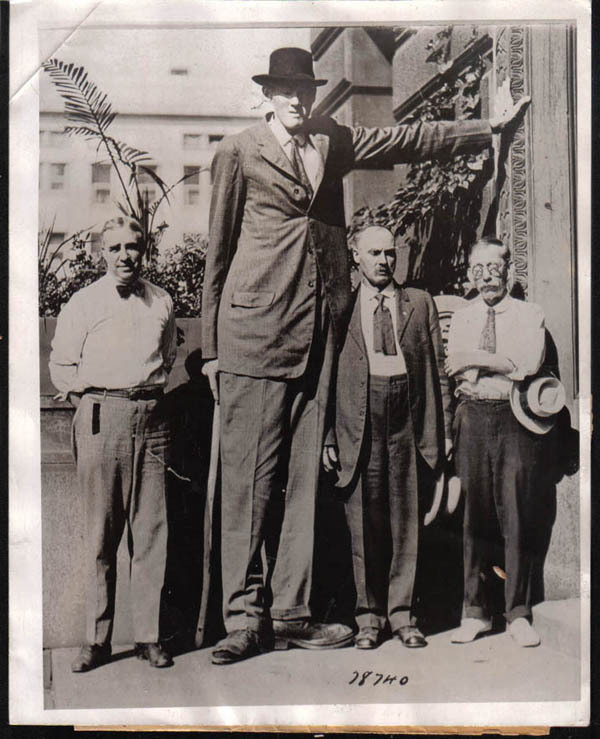 At the 2.67 m, John William “Bud” Rogan was, and still is, one of the tallest men that ever lived. 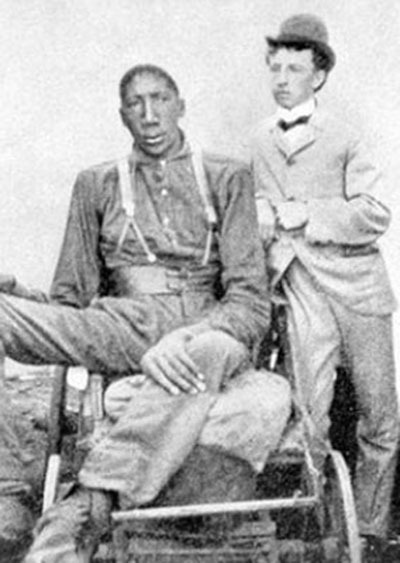 Born in Tennessee in 1868 with multiple conditions that caused his abnormal growth, Rogan ended up not being able to walk at all, because his legs were unable to support his weight. John Rogan also has a difficult time working due to his condition, but he earned his living by selling photographs and postcards made by himself. His condition was called ankylosis, and this made him unable to walk in anything but crutches in the early stages of his life. He died in 1905 and was buried under a thick layer of concrete, so curious scientists could never dig him up. 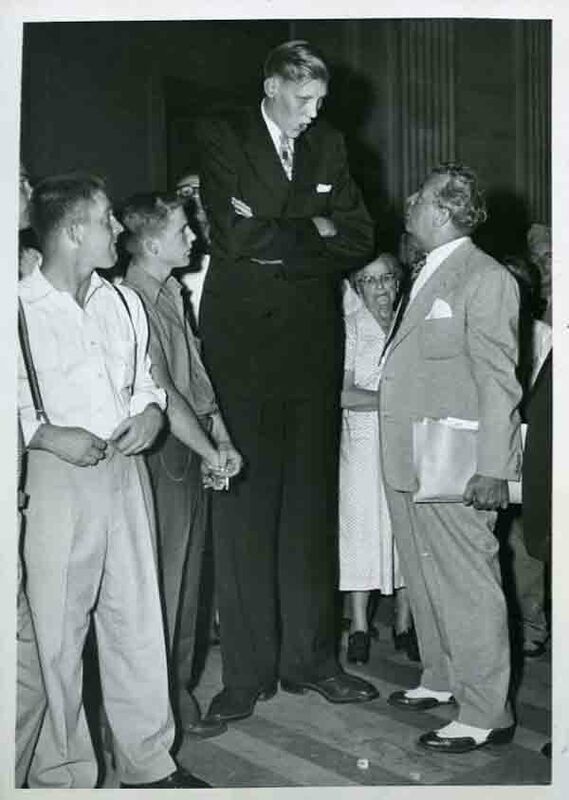 His height was only exceeded by that of Robert Wadlow. 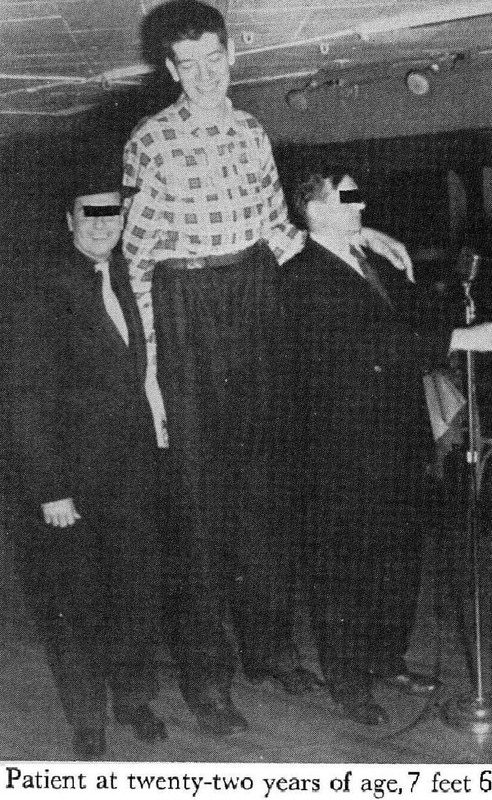 The “Giant of Illinois” measured 2.72 m and was named the tallest man in history, for whom there is irefutable evidence. He was born on February 22, 1918 in Alton, Illinois. He studied law, and by the time he graduated he already measured 2.54m. Unfortunately for him, his size soon caused him medical problems: he required braces to walk, and he had little feelings in his legs and feet. After a short life full of difficulties, Robert Wadlow passed away in his sleep. He was only 22 years old. Over 30,000 people attended his funeral. A life-sized statue of Wadlow stands on College Avenue in Alton, near the Alton Museum of History and Art. If you are interested in tall people, and the reason for which they are so tall, you should also give this article a read.